CPU should be able to run it. See this blog post. 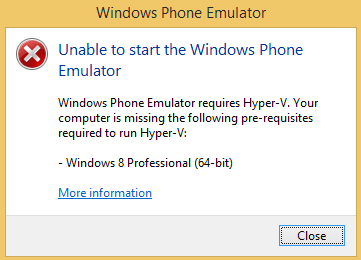 Get an error trying to run “Windows Phone Emulator”. Update: Arrrgh – now I realise that I need to use a professional windows 8 edition!